Oh yesss, it’s pumpkin season! With a hot spiced latte in hand and a warm scarf around your neck, you’re more than ready for fall. Heck, we know you’ve been secretly counting down the days until you could watch “Hocus Pocus” for the millionth time and go for long walks around the pretty foliage. 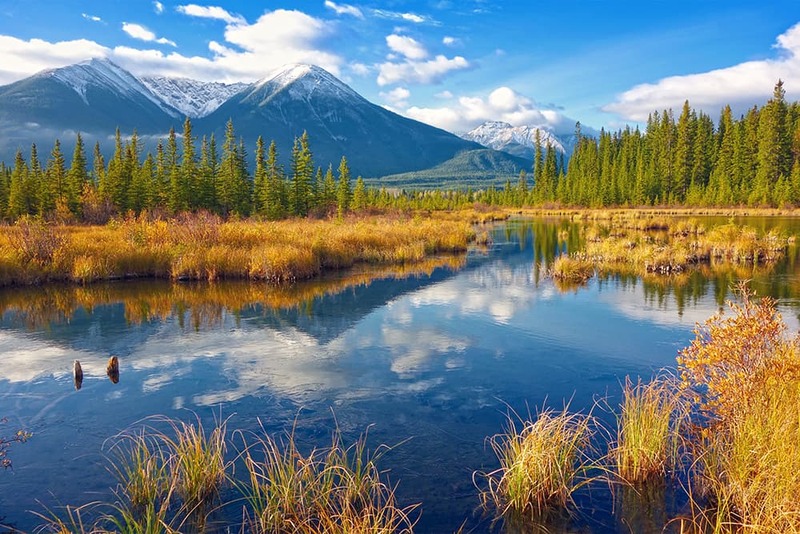 With that said, we know more than a few places in North America where you can enjoy autumn to the fullest. 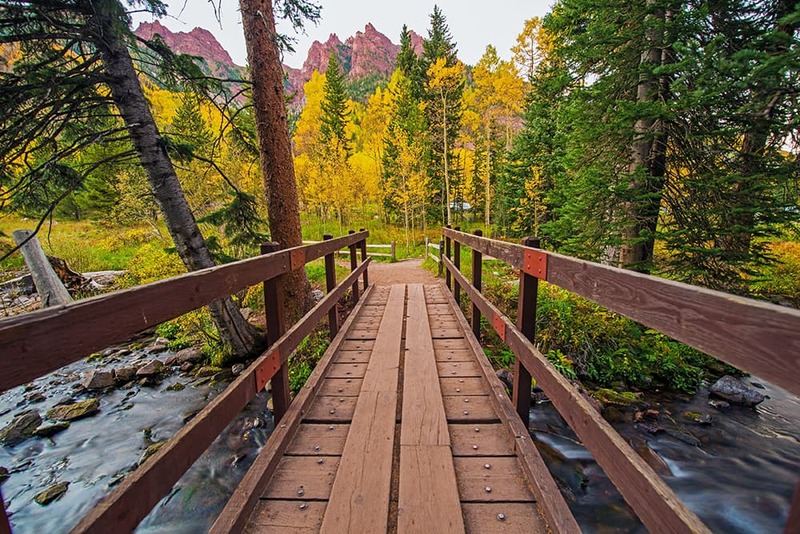 Here are some of the best towns in North America to experience fall. 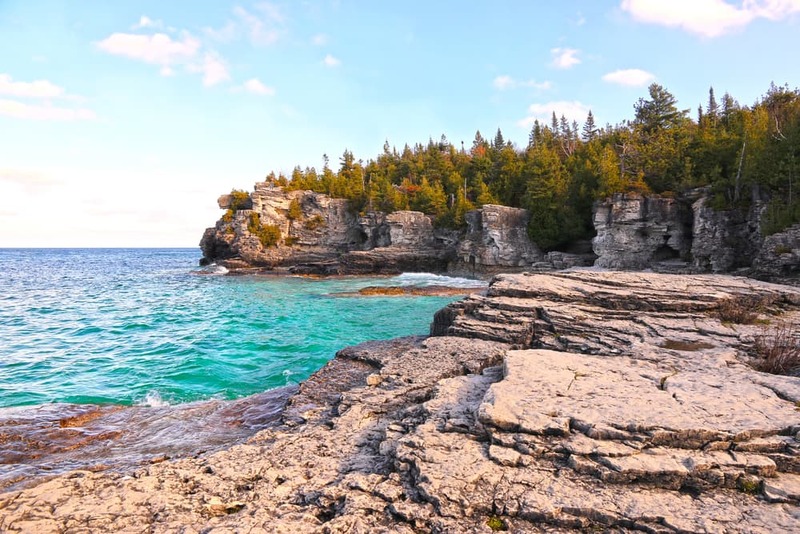 There’s a reason the Northern Bruce Peninsula shows up on so many autumn best lists. Everything you imagine when you close your eyes and think of fall is present here. Crisp air. Full orange and red trees. Thick forests cut only by winding trails. Get the real experience when you arrive on Bruce Trail Day, which features free guided hikes and family games at different touchpoints. Forest trails don’t have the monopoly on beauty, however. The Bruce Coast Lighthouse Tour takes you past 15 different lighthouses that make pops of white against the dark sea and colourful landscape. All that walking can work up a thirst. Nearby Tobermory has you covered at Tobermory Brewing Co. & Grill, where you can sip on small batch ales, pilsners, and lagers to go with smoked salmon and cured meats. We’d fully expect you to throw weeks-old gourds at us if we didn’t include Jasper on the list. All those pretty fall colours, crisp mountain air, the sudden, very real desire to eat a s’more immediately—we know this place is a fall gem. 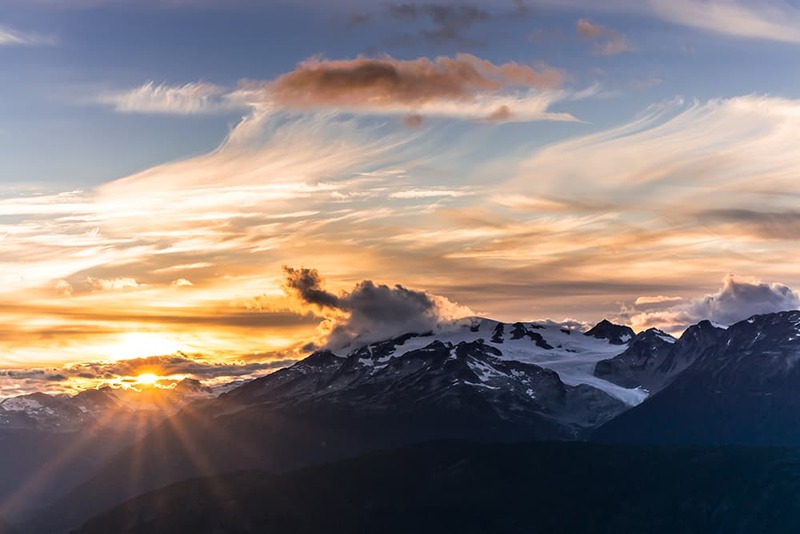 We could go on and on about hiking and picnicking in the area, but since you probably already know that, we’ll turn your attention to something else—namely, the Jasper Dark Sky Festival. With some of the clearest views of the stars in the country, Jasper puts on an October event unlike anything else. During the festival, stop in for scientific lectures or a once-in-a-lifetime symphony under the night sky. Or just look up at any point during the season. It really is that easy and wonderful. Mont Sutton knows how to throw a fall party. The aptly named Mont SUTTON Fall Festival is one of the best in the province. 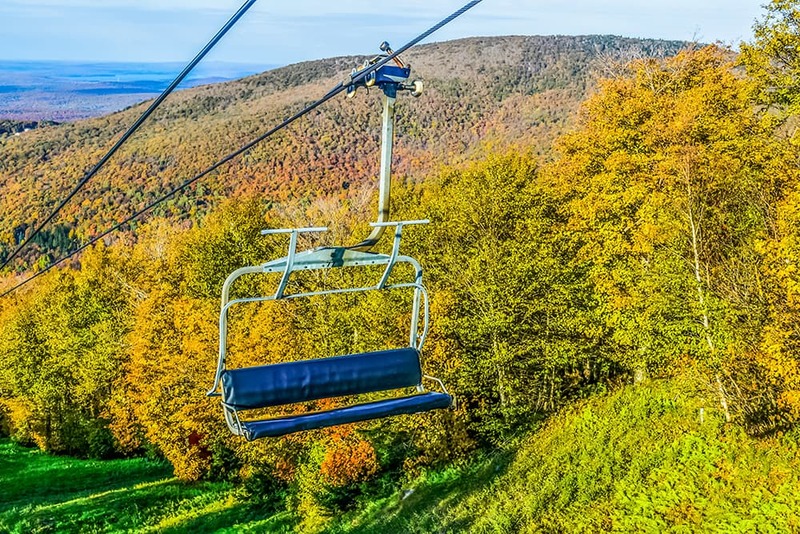 There are chairlift rides through the foliage, crafts for kids, wine tasting for the grownups, and afternoon concerts for all. Get to know the town a little better when you tour Sutton Museum, which has over 1,200 pieces of local history on display. If your idea of beauty is a galaxy in a glass, hit up the Wine Route, which spans from Brome to Missisquoi and stops at nearly two dozen wineries along the way. For some travellers, there is nothing like the sight of an apple pie to signal the real start of autumn. If you count yourself amongst this group, then Thornbury, Ontario, is your gateway for the holiday season—especially after you attend the annual Apple Harvest Festival, with pie-eating contests, games, and magic shows. Prefer to see those apples out in the wild? 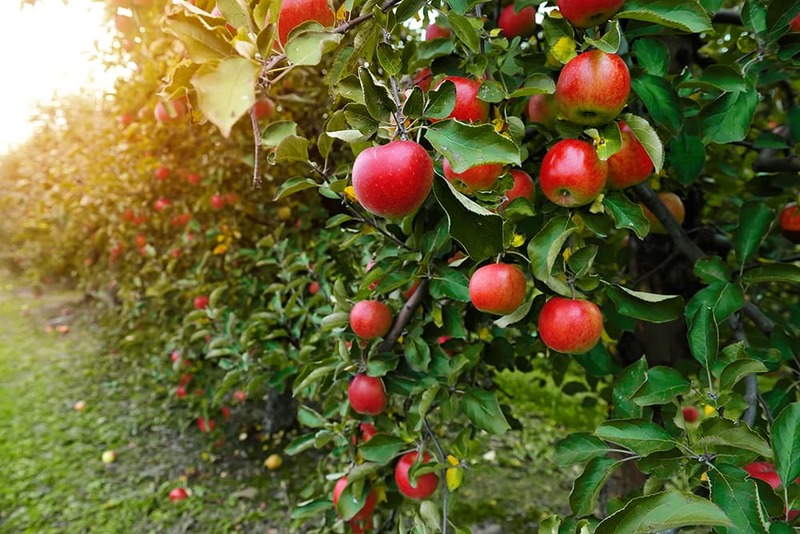 Make your way along the Apple Pie Trail, which cuts through Thornbury and Grey County at large. If you want to slip away from the breeze for a while, there’s always Bruce Wine Bar, with a ton of beers, ciders, vodka—plus some food to sop it all up. While Aspen, Colorado, has a reputation as a ski town, we happen to think that this picturesque city is even better when it’s cloaked in shades of gold and ruby. Want to see the lovely colours as you’re rushing past other people? Then you’ll want to join the Golden Leaf Race, where you can enjoy the foliage as you try to leave your running partner in the dust. If you want to experience beauty from a cinematic point of view, don’t miss the Aspen Film Festival, which puts on over 200 films each year and welcomes crowds of up to 30,000. What’s orange, white, and black and likes to hang out until late September? That would be the Atlantic puffin, and one of the best viewing sites of this funky little bird is in Elliston, Newfoundland and Labrador. 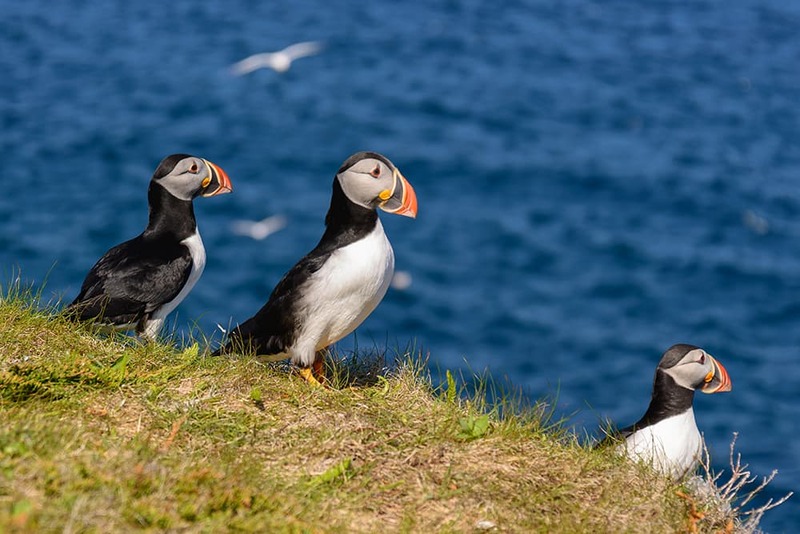 For the best vantage point, make your way to the Puffin Viewing Site, where the cliffs provide a good spot to spy on the quirky birds before they head out for winter. Once you’ve hiked up and said hello to the birds, you’ve probably worked up an appetite. It’s not fall without a harvest, and Elliston is particularly unique with many unusual root cellars around town. In fact, there are roughly 100 cellars around the city, sunken into the earth. Each September brings the Roots, Rants, and Roars Festival to celebrate the bounty, and you won’t want to miss it. 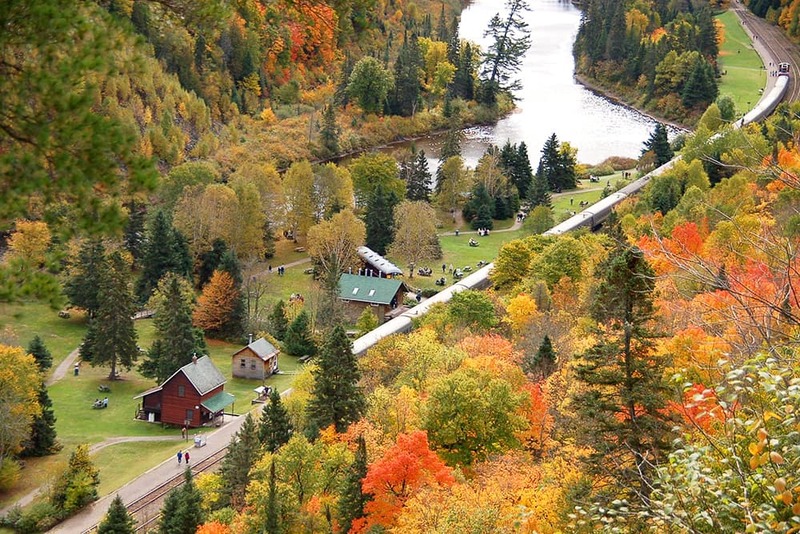 You simply can’t talk about autumn without highlighting the Agawa Canyon Tour Train. This famous ride will have you winding through the Agawa Canyon and passing some of the most brilliant colours you’ll see all year. The stop at Canyon Park ain’t too shabby either, which includes a staircase that leads you to the Lookout point, a popular area for some jealousy-inducing Instagram pictures. Want to keep your feet on the ground? 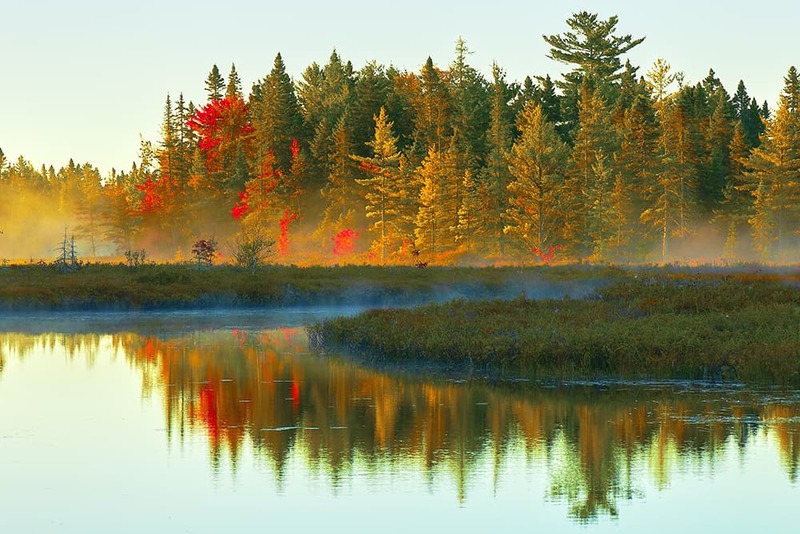 Hiawatha Highlands, with all of the trees on full display, is worth a stroll. For beauty of a different variety, hit up the Art Gallery of Algoma, which features acrylics and sculptures. The Catskills. Autumn time. Frankly, we could leave it at that, given how famous this area is during fall. There’s a reason this region inspires images of orange leaves, spicy cider, and old folk tales. For ultimate viewing, a stroll along Catskills Scenic Trail will give you that autumn rush you’re looking for. 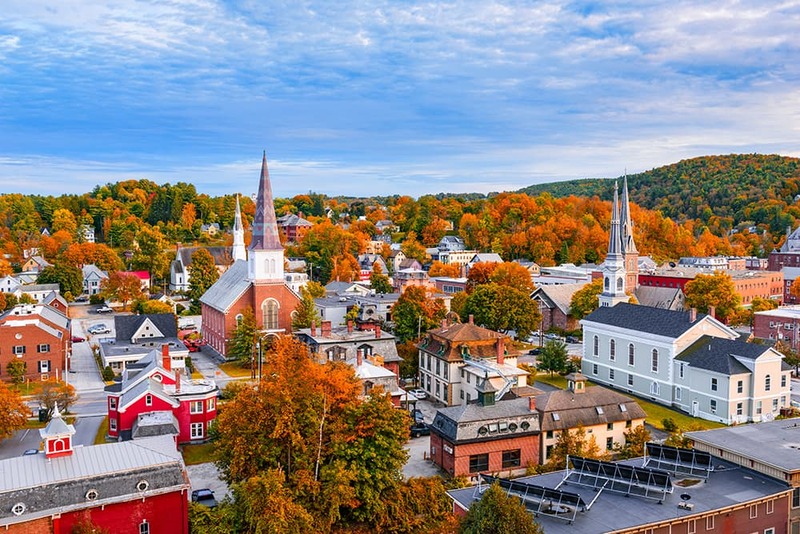 Once you’ve taken off your hiking boots, there are plenty of towns in the region putting on top-notch attractions, like the Woodstock Comedy Festival or the four-weekend long Hunter Mountain Oktoberfest, which includes a motorcycle rally and wine tasting event. Pumpkin walks and pumpkin carvings are also super popular around the area, if you’re bringing the kids with you. If you like big pumpkins and you cannot lie, Wellington understands your preferences. This coastal town hosts one of the most famous events in the region: the Prince Edward County Pumpkinfest. 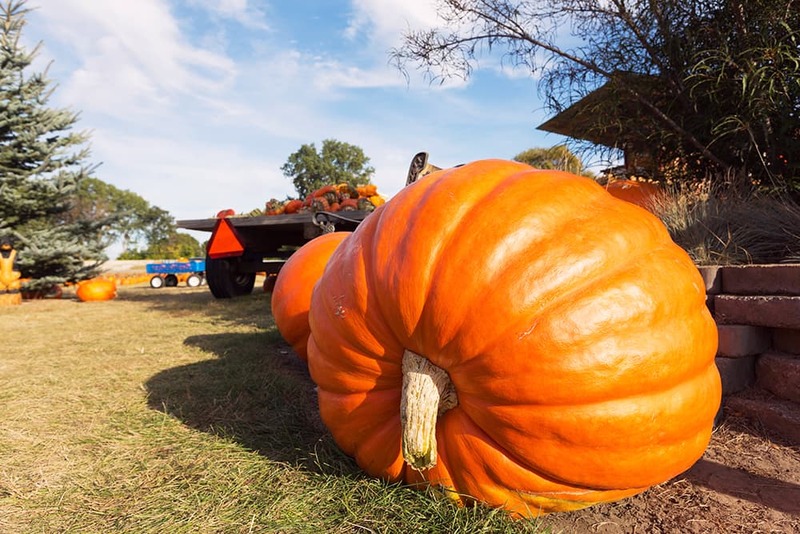 Known for growing some of the largest gourds in North America, the area is no stranger to seeing new world record winners crowned each October. And if you can’t get enough of that crisp air, find your way to the boardwalk, where Lake Ontario laps against the rocks. Something else that’s ready to roll once autumn arrives? Hockey. Don’t miss the Wellington Dukes (junior “A” hockey). This scrappy bunch brings nothing but grit and focus to the game. With golden trees lining the pathways, you can’t beat a fall hike through Rondeau Park. In fact, the park often features classes at the visitor centre to learn how to identify autumn trees and information of how plant and insect life preps for winter. Speaking of beautiful things, you can’t pop into Chatham-Kent without visiting ARTspace. This is where you’ll see works from over 40 regional painters and crafters. And for moving art, don’t miss a show at Chatham Capitol Theatre, which puts on plays, movies, and live music. 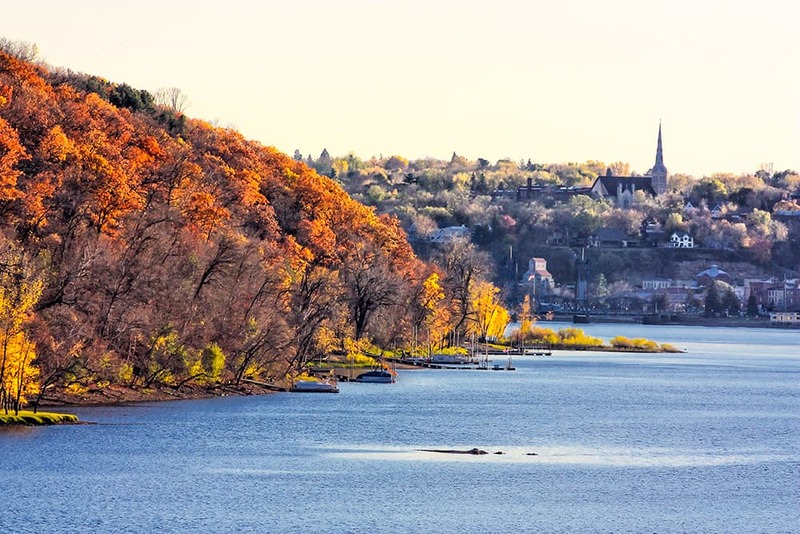 There’s something innocently old-fashioned and cheerful about taking a boat ride along St. Croix River in fall. With soft autumn colours and the gentle sway of the deck, there’s nothing quite like it. In particular, we recommend climbing aboard a Stillwater River Boats tour for prime viewing. Folks here don’t only spend their time by the river, though. Fall is festival season. Don’t miss favourites like Rivertown Fall Art Festival or Spirit of the St. Croix Art Festival (located in nearby Hudson). Something else that’s hard to miss in town? Just how many places feature organic, local products. This kind of fresh-first attitude is extended to cheese at The Wedge & Wheel, a top place to shop while in town. So, you want to see some fall colours, do you? 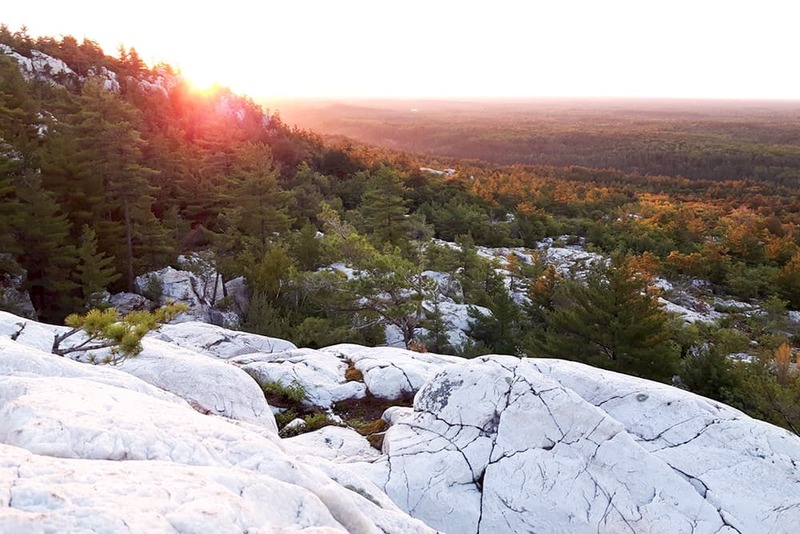 Then Killarney Park in Ontario is your next favourite place. The blues of Georgian Bay contrast with the whites of the hillsides and reds and coppers of the trees. There’s a reason this park is known as the “Crown Jewel” of the region. And if you need a good starting point, Crack Trail is the favourite. While you’re in the area, you can’t miss Herbert Fisheries, an award-winning fish and chips restaurant with some of the freshest ingredients around. You may also want to check out the Killarney East Lighthouse, which stands tall against the waves crashing on the rocks. 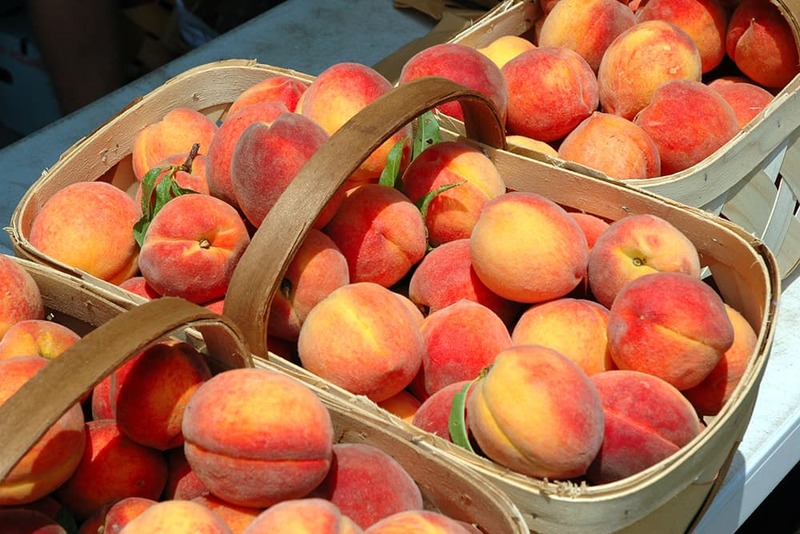 Life is peachy when you visit Winona, Ontario—especially when you make time to feast at the Winona Peach Festival, now celebrating its 50th anniversary. There’s face painting, vintage cars, arts and crafts, and, of course, plenty of peach treats. With a cashmere scarf wrapped around your neck, you’re more than ready to kiss the lip of a cool glass of cider. And there’s no better spot than the nearby Puddicombe Estate Farms, Winery & Cider, which has been in operation since 1797. 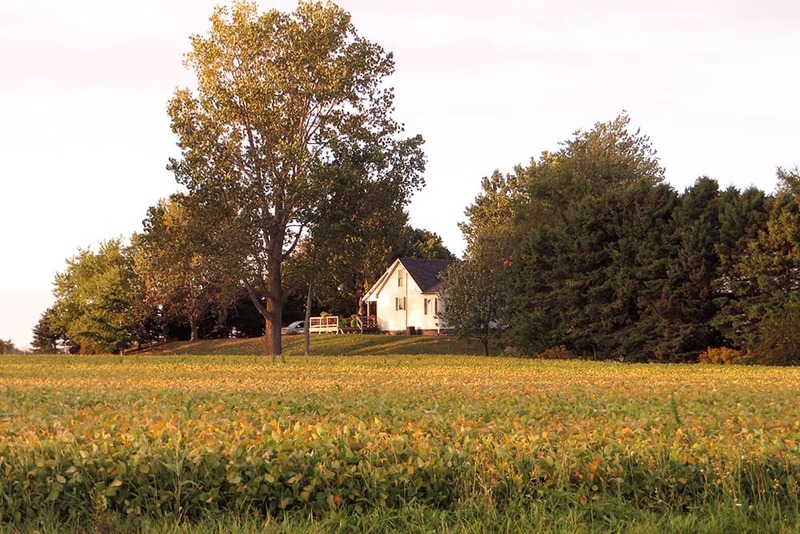 As a community of Hamilton, Winona has easy access to a ton of activities, including a stop at the Dundurn National Historic Site, boutique shopping in the bustling downtown district, or visiting the Art Gallery of Hamilton. Fall is often known for changing the hues of trees and shrubs, but what about the sky? 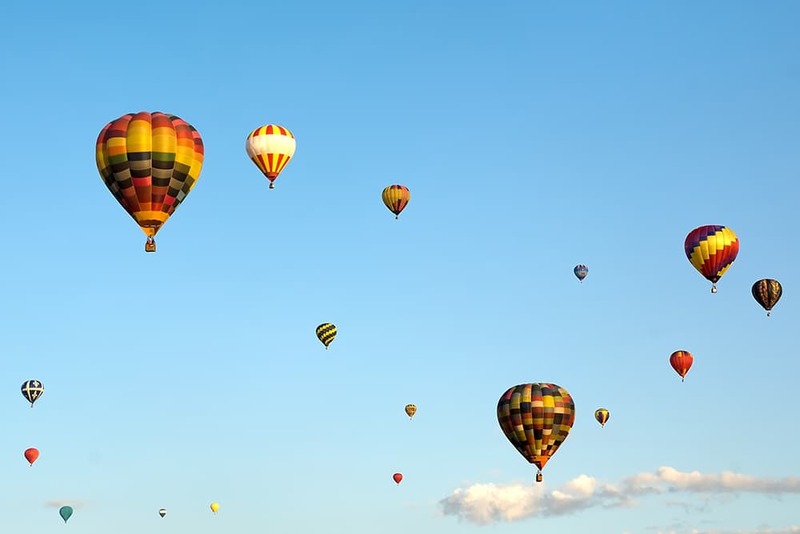 In Gatineau, Quebec, the white clouds are peppered by brilliant shades of pink, orange, green, and gold from the dozens of hot air balloons during the Gatineau Hot Air Balloon Festival. For other enchanting sights, Luskville Falls is more than worth a few dozen Snapchats. When the weather doesn’t want to cooperate, it’s best to escape the cold with a museum visit. Duck into the Canadian Museum of History, where you can learn about the country’s past, present, and future with galleries about everything from hockey to stamps. Speaking of museums, you can always stop into Brasseur du Temps, a pub that features a gallery in the back displaying beer’s history in the region. 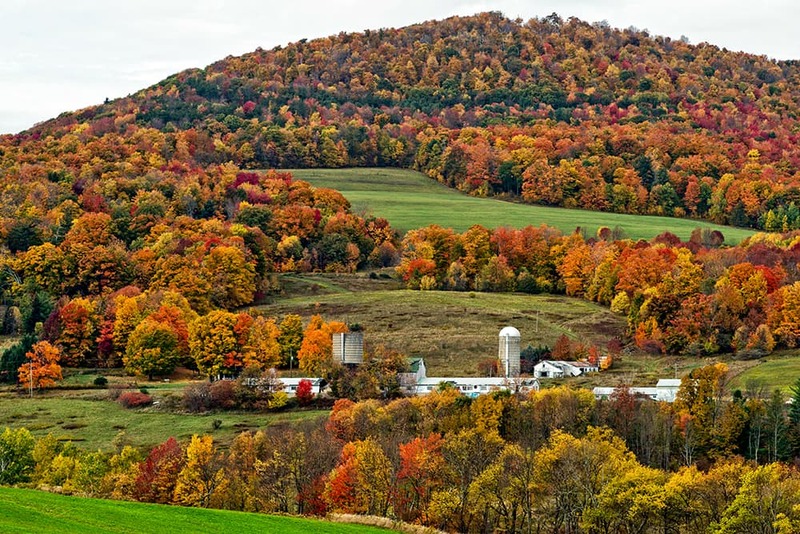 If there was a place that was made for fall, it would be Vermont. Beautiful autumn colours, boutique shops, slices of apple pie…You can call it a stereotype all you want, but some clichés are perfectly delicious in our book. For the most scenic routes in Montpelier, take a hike through Hubbard Park or along Camel’s Hump (which is the third tallest mountain in Vermont). Looking for something to drink? A few sips of local wine from North Branch Vineyards has a way of warming the senses. Or, for a jolt to the brain on a cool autumn day, Capitol Ground Cafe features their own coffee blend, the nearly-lethal 802 Coffee. While in town, you’ll also want to catch a show at the award-winning Lost Nation Theater, which puts on dramas that challenge your mind. 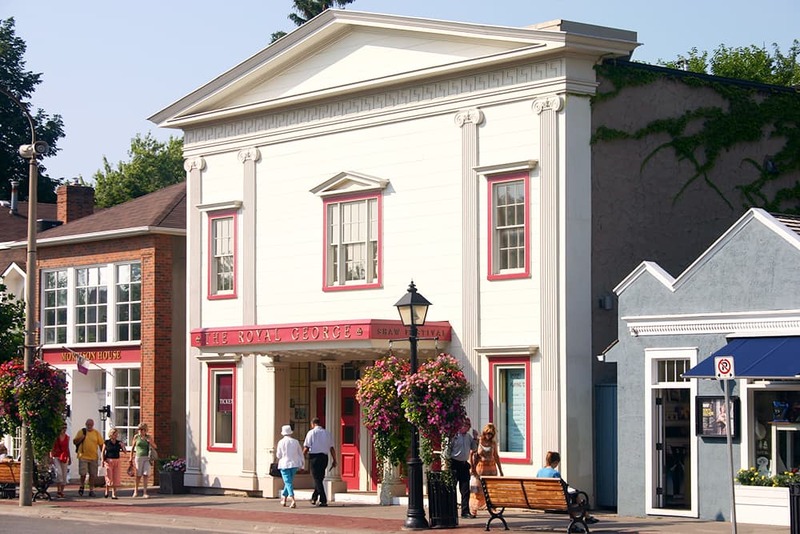 Niagara-on-the-Lake is pretty exquisite just about any time of year, but the one-two punch of the Shaw Festival and Taste the Season make fall particularly special. For the former, this theatre event puts on nearly a dozen plays on four different stages between April and October. Many of the productions are of namesake Bernard Shaw. As most people know, the region is known for its wine—though sometimes food is consumed as well. To enjoy a little drinky drink and some snacks to go with it, roll into the city for Taste the Season, which goes on each weekend of November. 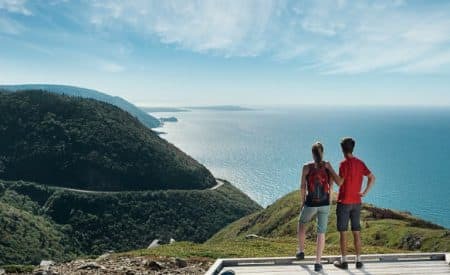 It’s the gateway to one of the most breathtaking areas in the province: Fundy Trail. Known as one of the best places to see fall colours, St. Martins is a must. Speaking of pretty things to look at, the St. Martins Sea Caves are also on the list of the top things to do in the area. Just don’t get caught in the insane tides that the town is known for. Love looking at all of those boats? Then you need to stop into the Quaco Museum and Library, which includes antique models of some of the most famous ships to enter the harbour. And if you want to take some beauty home with you, simply visit Happy Fish Pottery & Storme Arden Art Cards, which features a ton of locally crafted goods. It’s big mountain country, so is it really a surprise to see Montana on the fall list? It’s one of those places that look like a Bob Ross painting come to life (lots of “happy little trees”). 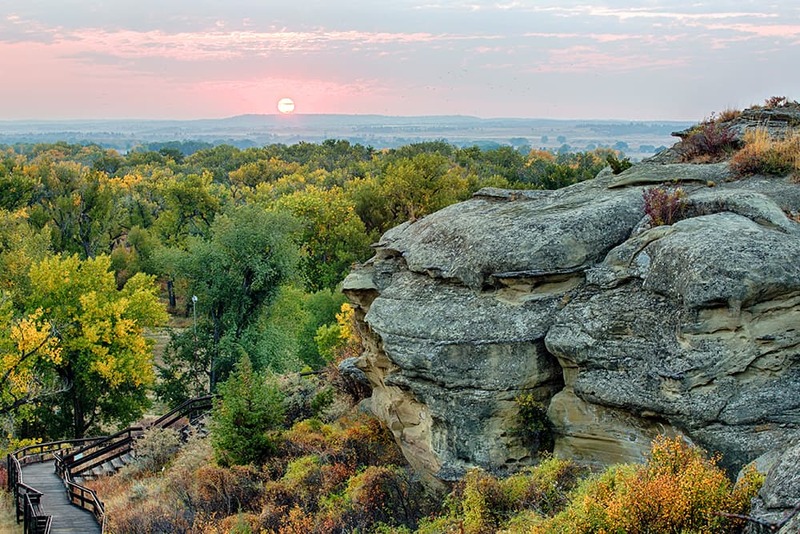 For the best trails, make your way to the Rimrocks, which are rock formations that have been here for roughly 80 million years. To experience the wild without the peril, there’s always the esteemed ZooMontana, which includes everything from bald eagles to ball pythons. And if history is a little more your game, then you’ll love a tour through the historic and exquisite Moss Mansion, which is open on weekends throughout fall. Brisk autumn breezes, burnt orange leaves, and warm wool socks. I mean, what more is there to life than these main essentials? There’s certainly all you need to experience Fredericton in fall—especially if you take a boat ride along St. John River with Wolastoq Boat Tour. Speaking of beautiful things, the Beaverbrook Art Gallery is currently featuring an international collection of stunning paintings and provocative sculptures that act as candy for the eye. Fredericton is also no slouch when it comes to festivals. Fall is when you’ll find some of the top events of the year, like the Harvest Jazz and Blues Festival, the Silver Wave Film Festival, and NB Spirits Festival (now in its 22nd year). With a snow-capped peak and golden foliage at its feet, Mount Currie in the Pemberton Valley is quite the sight. In fact, we wouldn’t be surprised if you suddenly set up your easel and brushes to try to capture the moment permanently. 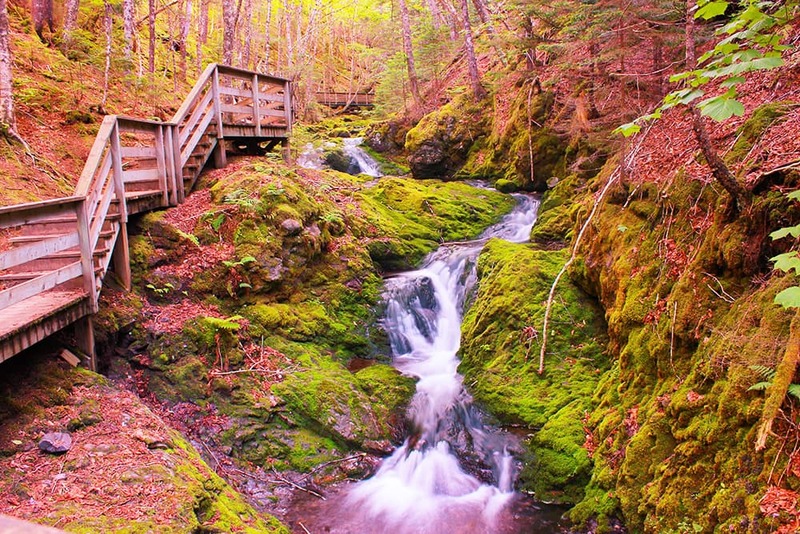 Speaking of gorgeous national settings, Nairn Falls Provincial Park is another nearby gem. It features Douglas firs, western red cedar, and Nairn Falls—which is considered a spiritual landmark. After all that exploring, we have a feeling your stomach is going to start calling for your attention. Fuel up at a spot like Mile One Eating House, which honours local products and regional produce for clean eating. And when you need to wash it all down, don’t miss Pemberton Distillery. Why? They distill the famed Pemberton potato into their organic gin, vodka, and absinthe. Not to mention the fact that they also make organic brandy and whisky, using grains from around the area. Great list! I agree that The Bruce be at #1 too! It is spectacular in the Fall and in the Winter walking through the vast cedar forests covered in snow make you fee like you’re in Narnia! The Tobermory Brewing Company is outstanding and open all year too! So cosy and welcoming next to the harbour. 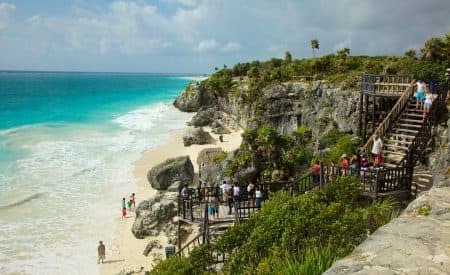 Great article and enjoy your adventures. Cheers! Would be nice to visit some if not all these beautiful places ! Let’s make plans!